I never learned how to make biscotti because; quite honestly I never liked them. I never even tasted them until after I moved to Florida. One day I picked some up at the grocery store. I did not know what they were; I had never heard of them. I really though they tasted bad so I had no desire to ever eat any again. Then one day I got into a discussion about biscotti cookies with a friend from Italy. A few days later I was given a can of homemade biscotti cookies. They were delicious! After tasting the homemade version, I decided to learn how to make biscotti myself. 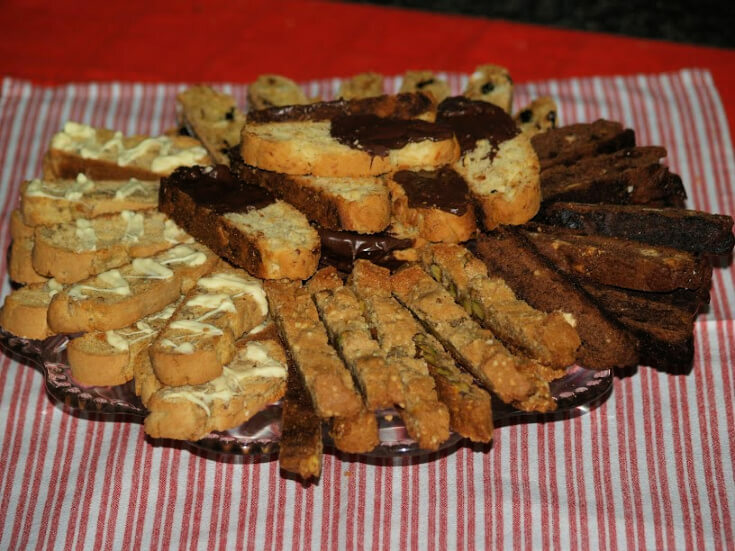 The word “biscotti” means twice cooked biscuits; first baked in a loaf and then baked after slicing. The baking makes them crisp and delectable. These biscuits are great served with coffee and tea even for dunking. Just like cookies, you can bake these in all kinds of flavors. Most common varieties are vanilla and chocolate but don’t be surprised when you run across other recipes with all types of nuts and fruits. 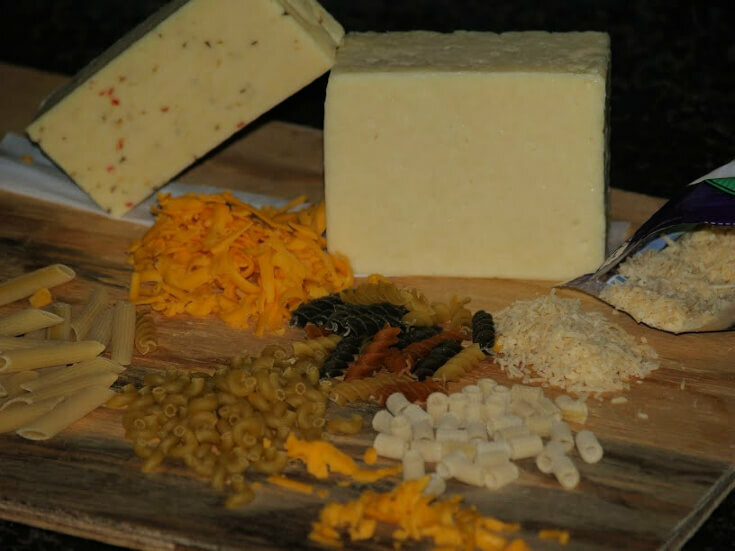 Those with various flavors and textures have become my favorites. 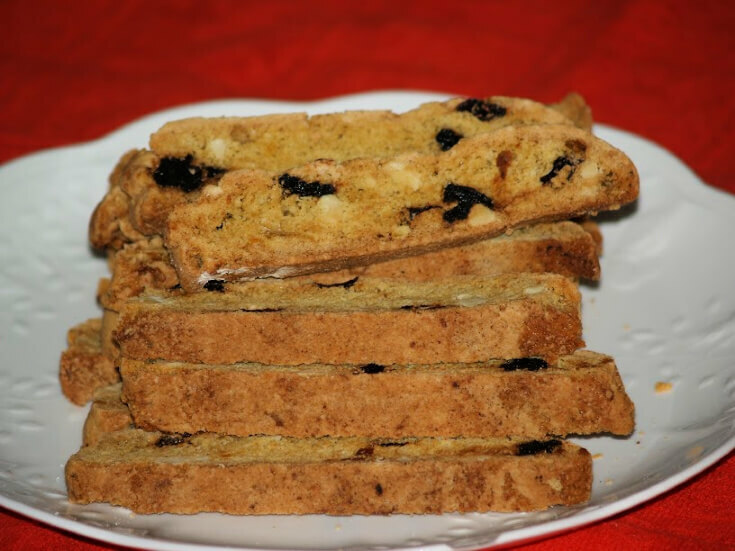 Learn how to make biscotti with dried fruit. Preheat oven to 325F degrees; lightly grease cookie sheet. Beat butter until creamy; gradually beat in sugar until well blended. Add eggs one at a time beating well after each; add peel and flavorings. Add flour, soda, soda and baking powder to the bowl; beat just to blend. Turn dough out onto lightly floured board; flour hands and knead in nuts, fruits and orange. Divide dough in half; shape each part into 14X2 inch log on cookie sheet. Flatten logs slightly; bake for 30 to 35 minutes until golden brown. Cool logs on cookie sheet 5 minutes; move to rack to cool. Cut each log diagonally into ½ inch thick slices with serrated knife (Like sawing). Place slices on ungreased cookie sheets; bake 10 minutes. Turn cookies over and bake 10 additional minutes; cool on rack. 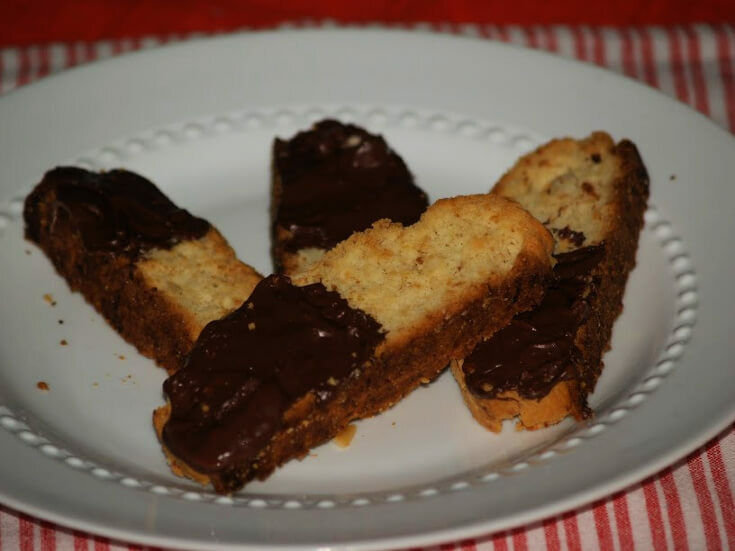 Learn how to make biscotti with one of my favorite recipes. Preheat oven to 350F degrees; line baking sheet with parchment paper. Beat butter, sugar and oil in a large mixing bowl. Beat in eggs, vanilla and coconut extract until blended; set aside. In another bowl stir together flour, baking powder and salt. Gradually beat flour mixture into the creamed mixture. Knead in coconut and nuts until well blended; divide dough in half. Shape each half into a rectangle (8 inches long X 3 inches wide). Place on prepared tray; bake about 25 minutes or until set. Cool on tray about 30 minutes; transfer to cutting board. With serrated knife cut each log into ½ inch slices. Place slices on parchment lined sheets. Bake about 10 minutes on each side until golden. Melt chocolate chips and shortening over low heat or in microwave. Stir chocolate mixture until smooth; dip each cookie halfway into the mixture. Place on wax paper until chocolate sets; store in airtight container. 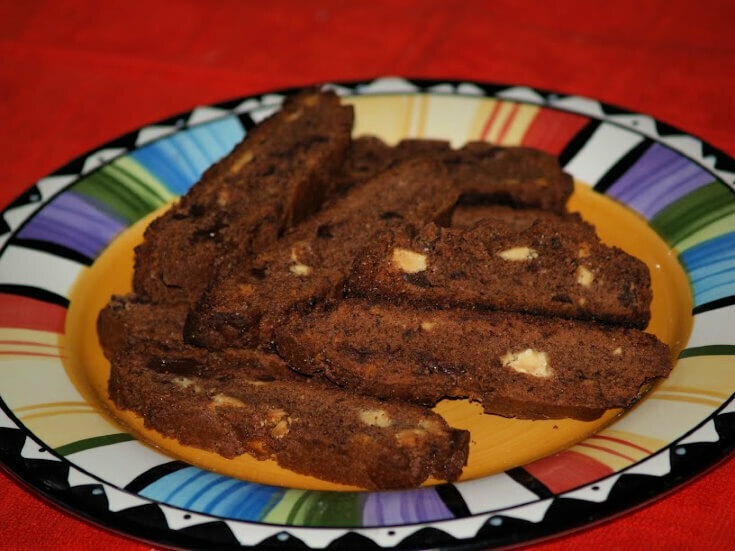 Learn how to make biscotti with chocolate chips and cocoa powder. Preheat oven to 375F degrees; line baking sheet with parchment paper. Cream butter and sugar together with electric mixer on medium speed. Add cocoa powder and baking powder beating until well combined. Beat in eggs; beat in enough of the flour as possible. 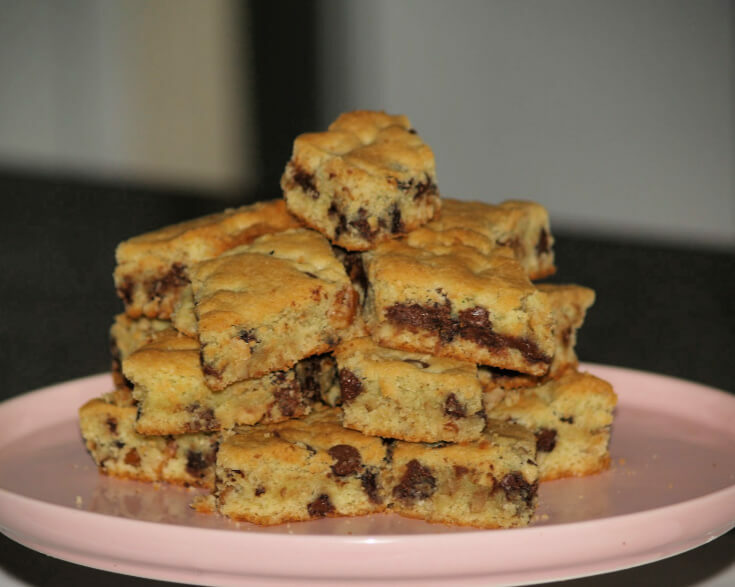 STIR in remaining flour, white baking bar and semi sweet chocolate. Divide dough in half; shape each half in 9 inch log on prepared baking sheet. Flatten logs to 2 inches wide; bake 20 to 25 minutes until pick comes out clean. Cool on baking sheet about 1 hour; PREHEAT OVEN TO 325F degrees. Move cooled logs to cutting board. With serrated knife cut logs into ½ inch slices horizontally. Lay slices on ungreased cookie sheets; bake about 8 minutes on each side. NOTE: Slices should be dry and crisp; do not over bake. Cool on rack; store in airtight container. 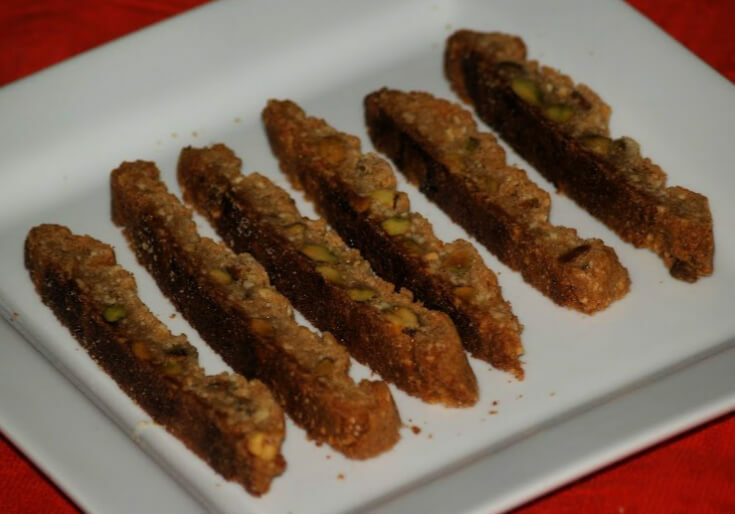 Learn how to make biscotti with two favorite nuts. NOTE: This recipe tends to spread more during the first baking. If you want a taller loaf, bake it in a greased and lined loaf pan. Combine flour, almonds, baking powder, cinnamon and salt; set aside. In large mixing bowl beat together the butter, sugars and orange peel. Beat in the egg until creamy; STIR in flour mixture and the pistachios. Divide dough in half; on wax paper shape each part into a 12 inch long log. Place both on a baking sheet; refrigerate for 2 hours. PREHEAT OVEN to 325F degrees; line a baking sheet with parchment paper. Unwrap logs and place on prepared baking sheet 3 inches apart. Bake about 35 minutes or until golden and dry to touch; cool about 30 minutes. With serrated knife cut logs horizontally into ¼ to ½ inch slices. Place biscotti slices on lined trays; bake about 25 minutes until golden. 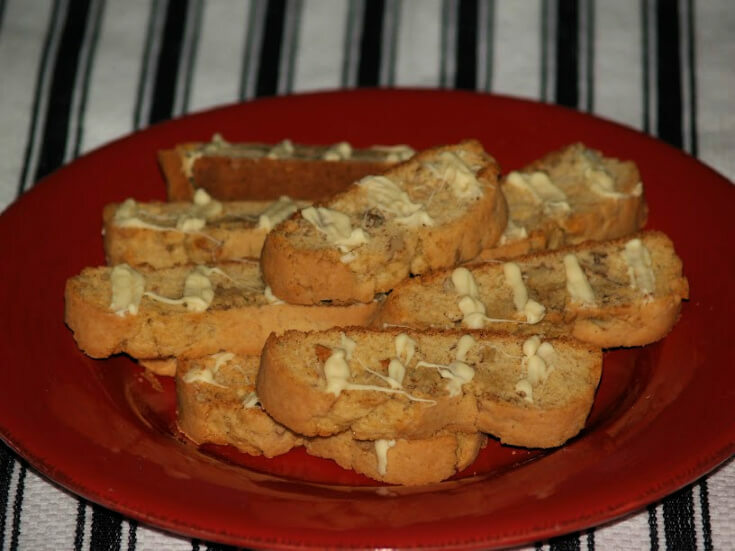 Learn how to make biscotti with the great flavor of maple. Preheat oven to 350F degrees; lightly grease cookie baking sheet. In large bowl beat sugars and butter on medium speed until creamy. Beat in the maple flavoring and eggs; STIR in the flour and baking powder. Stir in walnuts and divide dough in half; shape each half into 10 inch roll. Place rolls on prepared sheet (5 Inches apart); flatten each to 3 inch width. Bake 20 to 30 minutes until set and edges begin to brown. 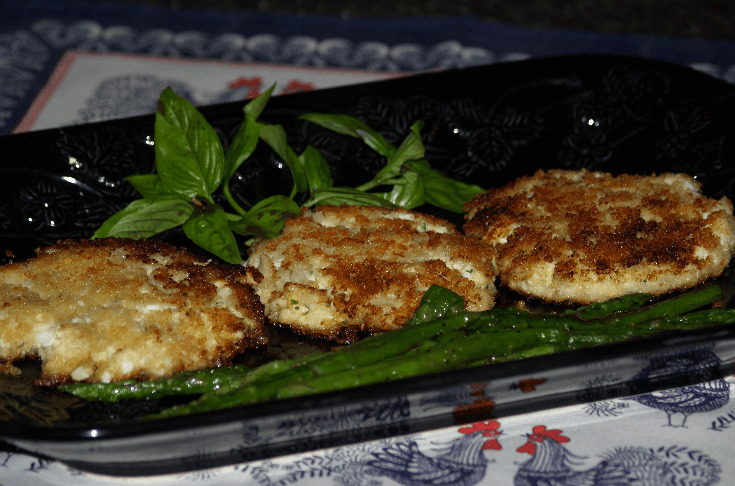 Cool on rack for 10 minutes; with serrated knife cut into ½ inch slices. Place slices on ungreased cookie sheets cut side down. Bake 5 to 10 minutes until lightly browned and dry. Turn slices over; bake 5 to 8 minutes until lightly browned and dry. Remove cookies to wire rack to cool completely about 15 minutes. Stir oil into melted candy coating; drizzle over biscotti. Let cookies stand until coating is set; store in air tight container. When you learn how to make biscotti, occasionally you will find some which are baked only one time. Combine flour, baking powder and salt; set aside. Cream butter and sugar; beat in eggs and vanilla. Add flour mixture to creamed mixture; mix to soft dough. Shape small pieces of dough into size of small fingers. Dampen the palm of your hand with milk just to moisten. Roll dough fingers into sesame seeds; place on baking sheets. Bake for 20 minutes or until golden brown; makes about 65. Learn how to make biscotti with a favorite recipe. Preheat oven to 350F degrees; lightly grease baking sheet. Melt chocolate and butter in heavy saucepan over low heat. Remove from heat; stir in vanilla and cool. Beat eggs on medium speed of mixer until frothy. Gradually add sugar beating until thick and pale (About 5 minutes). Add chocolate mixture stirring until blended. Combine flour and baking powder; stir into chocolate mixture. Stir nuts into mixture; flour hands and shape dough into 13 inch log. Place log on prepared baking sheet; brush with egg white. Bake for 45 minutes; cool on wire rack. Cut log with serrated knife crosswise into 24 slices. Place slices on ungreased baking sheet; bake 10 minutes on each side. Cool on wire rack; makes 24. After learning how to make biscotti you will find chocolate and anise, either separate or together are favorites. Preheat oven to 375F degrees; lightly grease 2 loaf pans (8 ½X4 ½ X3). Beat eggs on high speed until foamy; gradually add sugar beating until thickened. Add seeds and liqueur mixing until blended; stir in flour. Spoon into prepared pans; bake 30 minutes or until pick comes out clean. Cool in pans 5 minutes; remove from pans and cool completely on rack. Cut each loaf diagonally with serrated knife into ½ inch thick slices. Place slices on lightly greased baking sheets; bake 8 minutes on each side. Remove to wire rack to cool completely; makes 24. Learn how to make biscotti with dried cherries and macadamia nuts. Place cherries in a small bowl and pour Kirsch over the top. Soak cherries for 1 hour; drain and set aside. Spread nuts on baking sheet; toast for 5 minutes stirring 1 time and cool. REDUCE OVEN TEMPERATURE to 325F degrees; line baking sheet with parchment. Place nuts in food processor; process until coarsely chopped. Combine the ¼ CUP of sugar and brown sugar in a medium bowl. Add butter to bowl and beat with electric mixer until smooth. Add 2 EGG WHITES and vanilla and beat until creamy. Beat in the flour until blended; STIR in the nuts and drained cherries. NOTE: Dough will be soft and somewhat sticky. If desired bake the first time in a greased and lined loaf pan. Working on sheet of wax paper shape dough into 14 inch long log. Roll onto lined baking sheet; beat remaining EGG WHITE and brush on log. Sprinkle remaining 2 TEASPOONS sugar over log; set sheet on another baking sheet. Place both sheets in middle of oven; bake 1 hour or until firm and golden brown. Cool on baking sheet for 3 hours or overnight. With serrated knife cut diagonally into ½ inch slices; place slices on 2 baking sheets. Bake slices for 10 minutes on each side until lightly colored. Cool on baking sheets; makes 2 ½ dozen. Learn how to make a double almond biscotti. Heat dry skillet over low heat; add ¾ CUP of the almonds. Cook 5 to 6 minutes stirring frequently until golden brown. In large bowl beat butter and sugar with mixer until light and fluffy. Beat in 2 EGGS, vanilla and lemon peel until smooth and creamy. In small stir together flour, baking powder and salt. On low speed beat flour mixture into the creamed mixture; blend well. STIR in by hand the almonds; divide dough in half. With floured hands shape each half into a 10 inch log. Place logs on ungreased cookie sheet 3 inches apart. In small bowl beat remaining 1 EGG; brush over the tops of logs. Sprinkle logs with remaining ¼ CUP of almonds pressing in gently. Bake 15 to 20 minutes until firm and lightly browned. Remove logs from oven; cool for 15 minutes. REDUCE OVEN TEMPERATURE to 300F degrees. On cutting board cut with serrated knife cut diagonally into ½ inch slices. Place slices on ungreased cookie sheets; bake 15 minutes. Turn cookies over and bake 15 minutes longer. Cool completely on wire rack; store in airtight container.